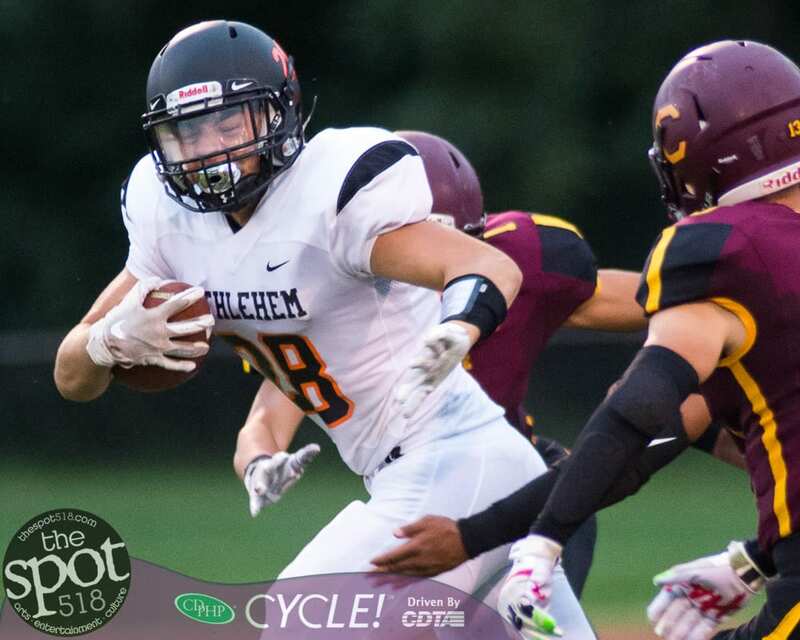 COLONIE – Bethlehem went on the road and stunned the Raiders 15-13 with 15.9 seconds left on the clock to get a win for first-year head coach John Carlino. Alex Shudt scored the winning touchdown on a six-yard scamper after The Eagles took over late in the fourth quarter. The game was scoreless in the first half as both teams had bugs to work out during the first conference game of the season. Xavier Wakefield returned an interception for Bethlehem’s other score and Shudt, who rushed for 112 yards, added a 30-yard field goal. Shai Young and Christian Hubbard each scored for Colonie.